The 1990’s was an interesting era for superhero comics. We mostly remember it for speculator mania and publisher greed, but there were a number of interesting books and concepts from this period, including Dark Horse’s “Comics’ Greatest World” imprint. It was interesting to watch modern creators build a shared universe from the ground up that explored the potential consequences of a world with superhumans on the macro and micro level. Sure, there were lots of generic Batman/Superman analogues, but truly original characters like Grace and Firearm (from Malibu’s Ultraverse) made it all worthwhile. Some quick background: in the early 1990’s, Dark Horse’s “Team CGW” (Mike Richardson, Randy Stradley, Barbara Kesel, Jerry Prosser and Chris Warner) introduced “Comics Greatest World”, a shared universe that featured variations of classic superhero narratives in four settings that evoked the pulp origins of superhero books – a noir tinged Arcadia, a lawless Steel Harbor that felt like a modern version of a 19th century frontier town, a Cinnibar Flats/Vortex that could have come out of a 1930’s sci-fi serial and Golden City, an updated city of tomorrow ruled by a ‘benevolent’ super human dictatorship. Dark Horse introduced the imprint with a set of four weekly miniseries centered around the four settings, followed by a mix of one-shots, limited series and short-lived series. 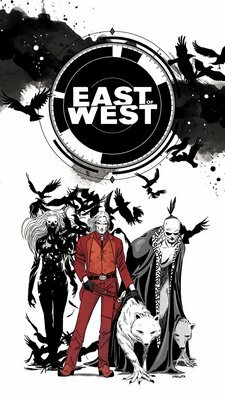 If you remember this line at all, you probably remember it for Ghost (which was recently relaunched as an ongoing by Kelly Sue DeConnick and Phil Noto) and Barb Wire (which was adapted as a terrible movie starring Pamela Anderson). I’ll be honest, these weren’t good books. But! I’ve always thought there was a lot of potential in the Golden City family of stories, which could have been an opportunity to explore the fascist themes of superhero narratives without being too didactic. Golden City was a small town turned into a “contemporary utopia” by Grace, a brililant superhero who served as the city’s protector and mayor. We’re informed at the outset that the city lacks crime, pollution and poverty. 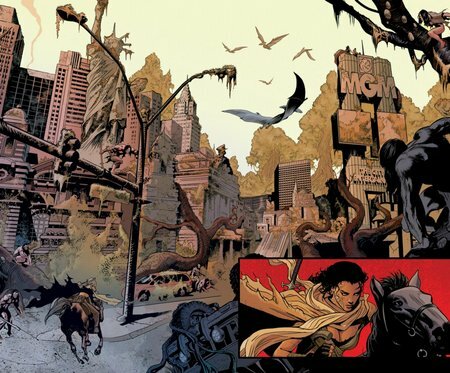 The introductory arc focuses on how she manipulates the city’s denizens, her fellow heroes (“Catalyst: The Agents of Change “) and the American government to become the benevolent dictator of Golden City. Grace was a fascinating character, a mixture of good intentions and ruthless tactics. I think the stage was set for a fascinating exploration of the appeal of fascism, but Dark Horse fumbled the ball. There was something about a villain named Law and a Predator. It was a familiar story of wasted potential. So when Dark Horse announced that it was partnering with Joe Casey for the Catalyst Comix anthology, I was intrigued. 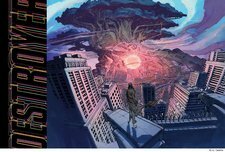 When I heard that Casey was collaborating with Dan McCaid, Ulises Farinas and Paul Maybury, I got pretty excited. I’m not a member of the Joe Casey fan club, but I have loved the work he’s done on Jim Lee’s Wild CATS series (with Sean Phillips and others) and on Marvel’s Vengeance mini (with Nick Dragotta ). He has an enthusiasm for subverting traditional superhero narratives that’s pretty fun to follow, even when his efforts are unsuccessful. When you add McCaid, Farinas and Maybury’s tendencies toward weird compelling art, I think this is a must-buy. I’m more than a little tired of the brand management that goes on at Marvel and DC. I think I could go for some off-the-wall fun. Check out Casey’s interview with Kiel Phegley at CBR. Cover above by Rafael Grampa. Casey promises future covers from Paul Pope and Brendan McCarthy . 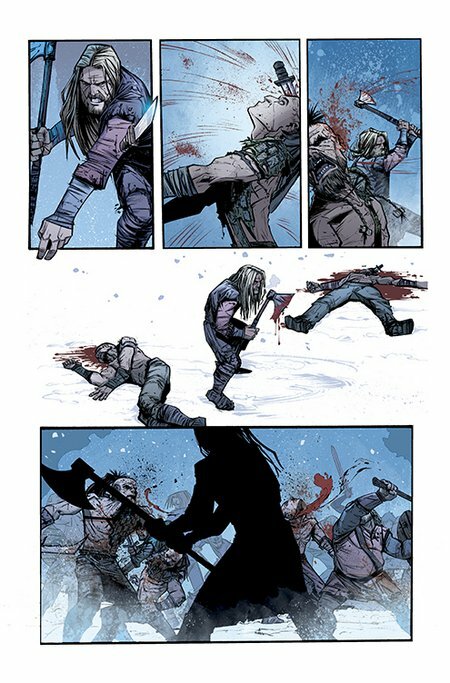 Cullen Bunn and Joelle Jones are releasing a five issue mini through Oni Press entitled Helheim, a supernatural story set in Scandinavia during the age of the Vikings. Bunn’s a competent genre writer who’s never particularly wowed me for some reason. I enjoyed the first issue of the Sixth Gun, but wasn’t motivated to pick up a second. His issues of Venom and Captain America were ok, but it’s hard to follow Rick Remender and Ed Brubaker. He’s one of those writers that I think I’d love if he was on the right project, and Helheim may be it. It’s not the horror, or the zombies or the Vikings. It’s Joelle Jones, the amazing artist behind 12 Reasons Why I Love Her, You Have Killed Me and Madame Xanadu (w/ Matt Wagner ). Her art is so expressive and subtle and fun. I think I’m contractually obligated to buy her books. Dan Glendening at CBR has more details. Speaking of “contractually obligated”…. Look, Howard Chaykin is that dude. He did American Flagg!. He co-created Firearm and drew Twilight , two of my favorite genre books of the 1990’s. He specializes in politically incorrect loudmouth heroes. So when they announced that he was writing an “Iron Man Season One” title for Marvel, I was onboard. 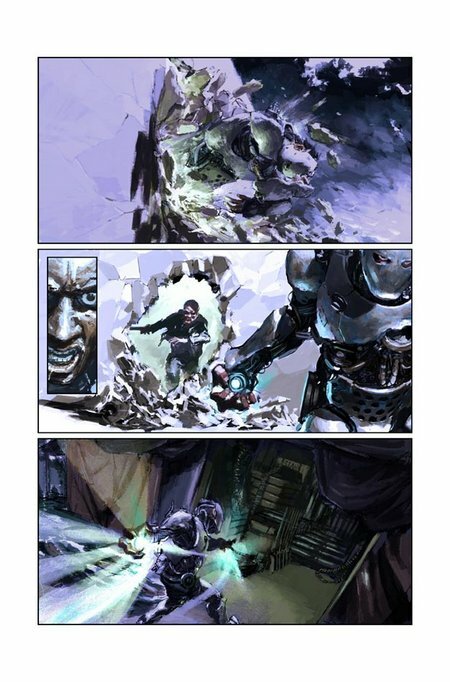 I’m not familiar with Gerald Parel , but this preview art looks absolutely fantastic. 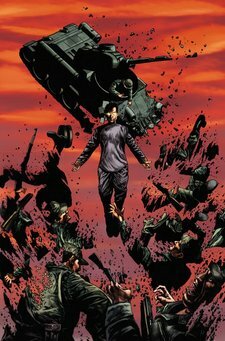 Check out Chaykin’s great interview with Albert Ching at Newsarama. “I simply took the longtime love and affection I have for the character and its origins, and simply updated them into a more modern realpolitik. The all-important ICV2 Comics and Digital Conference was held earlier this week, and Comics Beat’s Heidi MacDonald has the essential coverage for Publisher’s Weekly. The highlights? Periodical sales are steady. Graphic novel sales are projected to recover from the loss of Borders. Digital sales have tripled. It’s pretty much what you’d expect. The interesting bit for those of us who aren’t concerned with the business side of things is the discussion about digital comics. It’s a reminder of the gulf between traditional readers (like myself) that want a digital experience that mirrors the traditional print one and newer readers that might appreciate innovations such as Comixology’s guided view technology or the work that Marvel is doing with its Infinite comics and Mark Waid is doing with Thrillbent. 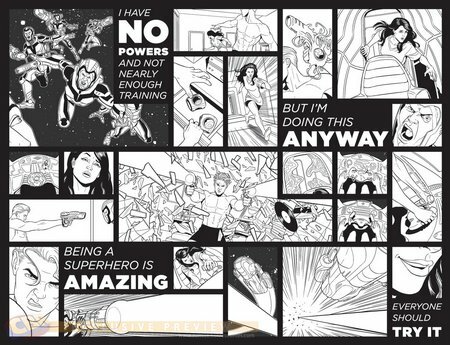 The state of digital comics was also discussed in a Marvel panel held on Friday, in which Waid discussed the benefits of creating comic book stories designed specifically for a tablet and ways of building suspense in different formats. It’s the year 3797 and botanist Nika Temsmith is researching a species of strange plant-based life forms on a remote science station near the outermost rim of colonized space. It’s the year 1921, and war-scarred explorer William Pike leads an expedition into the dense jungles of Peru in search of the fabled “Lost Temple of The Incas,” an elusive sanctuary said to have strange healing properties. Two disparate souls separated by thousands of years and hundreds of millions of miles. Yet they will fall in love and, as a result, bring about the end of the universe. Even though reality is unraveling all around them, nothing can pull them apart. This isn’t just a love story, it’s the last love story ever told. If you add a present day timeline, Hugh Jackman and Rachel Weisz, you’d have the Fountain ! All kidding aside, this sounds like the kind of project that’s right in Lemire’s wheelhouse. 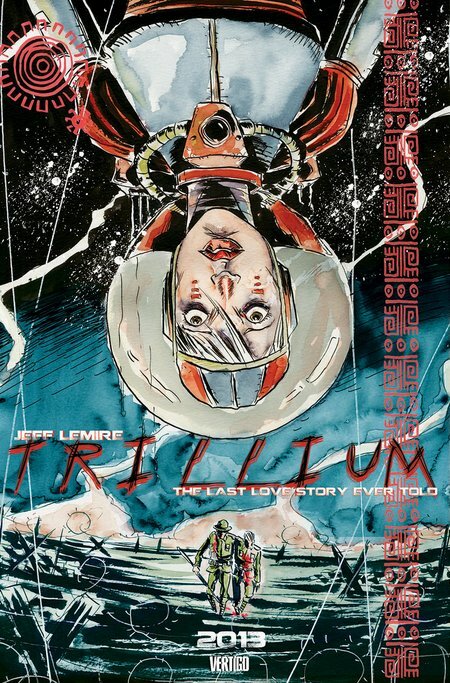 Check out CBR’s Jeffrey Renaud’s interview of Jeff Lemire about his plans for Trillium. 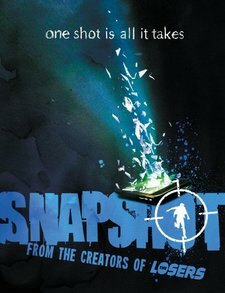 In February, Andy Diggle and Jock (previously known for the Losers ) reunited for Snapshot, which was serialized in b&w for 2000 A.D.’s Judge Dredd Megazine . The premise? A comic book fan inadvertently comes into possession of a hitman’s cell phone. The hitman wants the cell phone back. 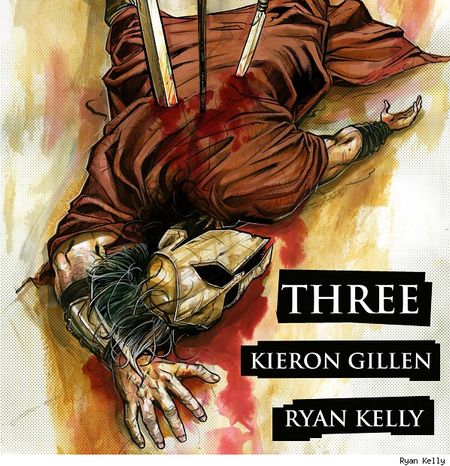 Kieron Gillen and Ryan Kelly unite on Three , a five issue miniseries that explores the fate of the Helots, the slaves of the legendary Spartans. According to Gillen’s interview with Sarah Jaffe of Comics Alliance, he was inspired by Frank Miller and Lynn Varley’s famous 300 to shatter the myths that we’ve built around Sparta. Gillen originally planned to counter Miller’s story (which was a brilliant piece of propaganda) with a polemic that demonized Spartan society, but opted to present an honest look at a complex slave society. I’m glad he made this choice. 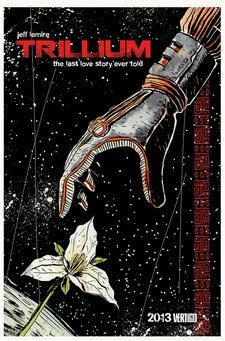 A story exploring class, power and how slavery binds the slavers and the enslaved is far more interesting than an anti-300tract. Jonathan Hickman and Nick Dragotta . The Four Horsemen of the Apocalypse decide to kill the President of the United States. Sold! Howard Chaykin . The image says it all. 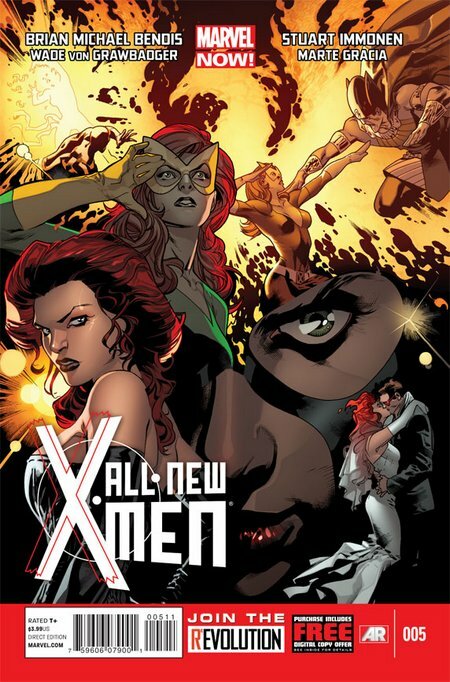 I don’t really care about most of the things that are happening at Marvel, other than books written by Rick Remender, Jeff Parker and Jonathan Hickman . That said, Marvel did release some pretty art for NYCC 2012. Let’s take a look. –Stuart Immonen, from the upcoming All-New X-Men series. Immonen’s going to be working with Brian Michael Bendis, Wade von Grawbadger and Marte Garcia on this one. –Mike Del Mundo, from X-Men Legacy. The series has a new creative team – Simon Spurrier and Tan Eng Huat. 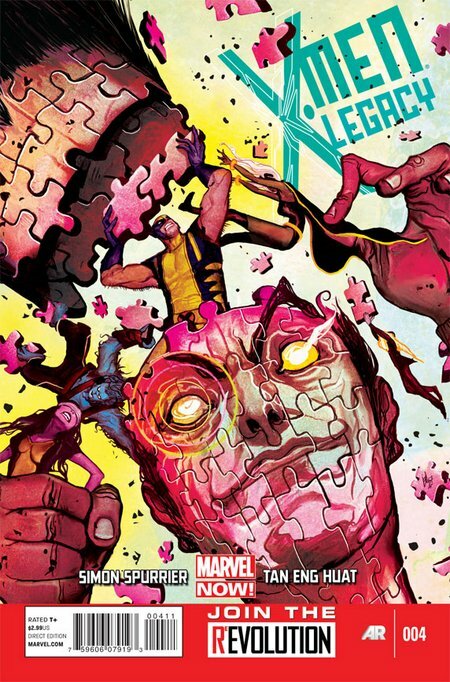 X-Men Legacy will follow Legion, who is not only an incredibly powerful mutant with multiple personality disorder, but the only son of the late Professor X. 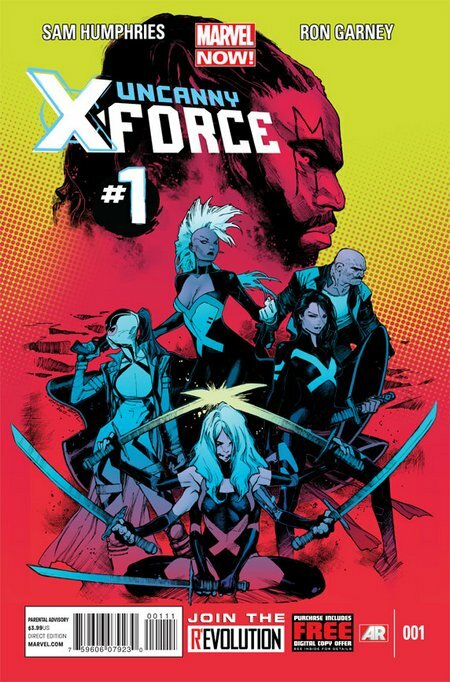 –Olivier Coipel, from Uncanny X-Force, which will debut in January with words by Sam Humphries and art from Ron Garney . Premise? Something something proactive. Look, just be happy that they gave Storm her mohawk. –Geoff Darrow, from Deadpool, which will relaunch in November. The creative team? Brian Posehn and Gerry Duggan (who you might recognize from the world of stand up comedy or screenwriting) with art from Tony Moore (whose work on Fear Agent w/ Rick Remender was legendary). 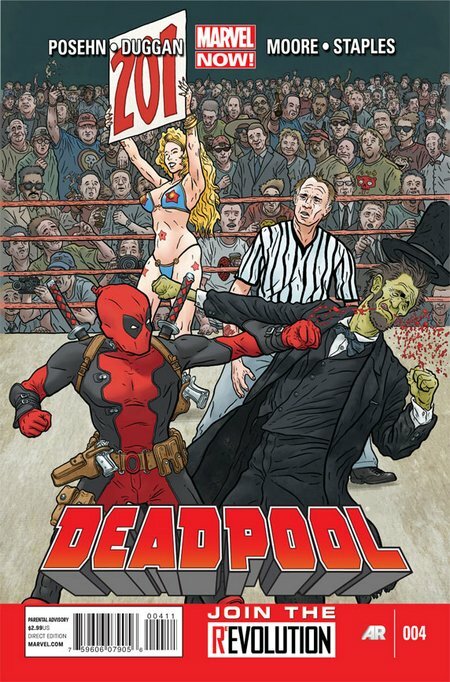 Posehn and Duggan are going the action-comedy route with this one. I’m not very interested in this one, but their enthusiasm for this project is infectious. Check out their interviews with Jesse Schedeen of IGN and John Siuntres of WordBalloon . For more info on Marvel’s X-books panel, check out LTZ’s coverage for the ComicsBeat. The one thing from Marvel that I will buy? 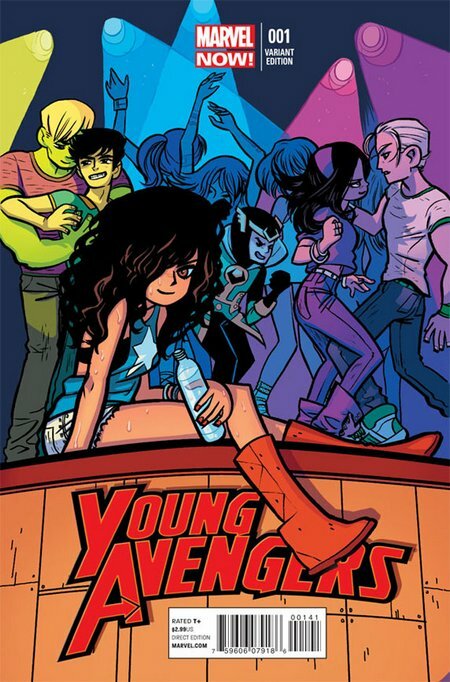 Kieron Gillen and Jamie McKelvie’s Young Avengers relaunch. This was announced before NYCC, but still… a book about teenage heroes that actually tries to evoke the experience of being a teenager while embracing the heightened madness of superhero comics? 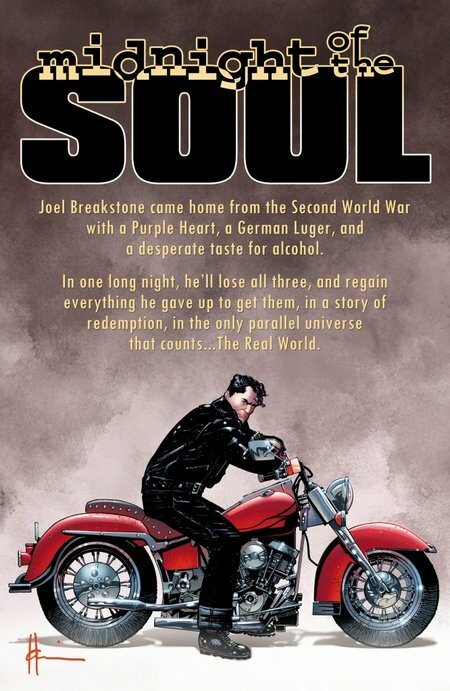 I was a huge fan of some of the original Valiant books – Solar: Man of the Atom (I even enjoyed the Acclaim reboot), Archer & Armstrong (especially when Barry Windsor Smith contributed on art) and the Eternal Warrior, but for some reason, I’ve had almost no interest in the new Valiant relaunch. 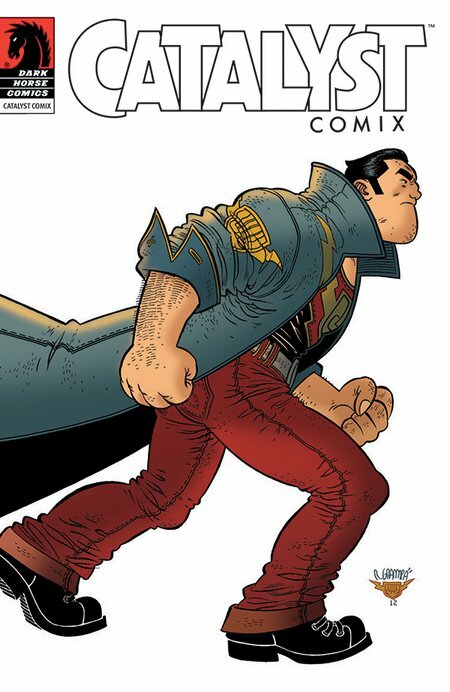 I’ve sampled Robert Vendetti and Cary Nord’s X-O Manowar and Fred van Lente and Clayton Henry’s Archer & Armstrong , but never made it to the second issue of either series. Maybe it’s the fact that X-O seemed like a retread of the original and Archer was about a dollar too expensive (3.99 is too high for a single issue of a digital comic). 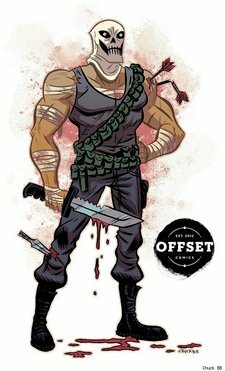 Ivan Brandon (writer of Viking and Men of War and editor of 24Seven)announced that he’s collaborating with Daniel Krall, Chuck BB and the awesome Eric Canete to release new projects under the Offset Comics umbrella, which are coming soon in an as-yet unannounced format. 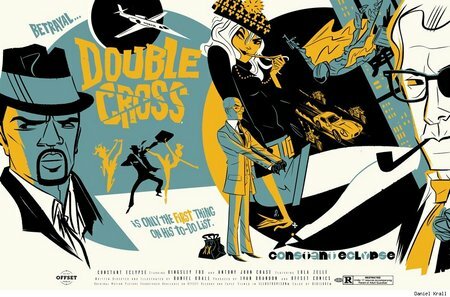 Double Cross, an project by Daniel Krall that sounds like a spy/espionage narrative. 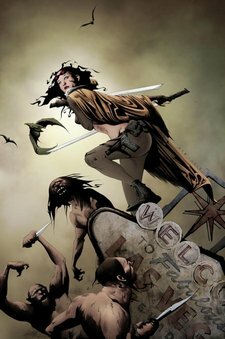 Deathface, an exploitation/revenge story from Ivan Brandon, Chuck BB and Ryan Browne. Destroyer, an end of the world drama from Ivan Brandon and Eric Canete. It’s impossible to know whether any of this will be good, but it sounds intriguing. I love the fact that all of these titles feel inspired by 1970’s exploitation films. My only concern is that Brandon comes off as a little too vague in this interview. I appreciate that the creatives should be driving the decision-making process with these new initiatives, but there’s something worrying about the fact that Brandon doesn’t have any concerns about market support, demographics, or format. I don’t want to judge the guy on a single interview, but there’s something almost juvenile about ignoring the business side of comics. Rick Remender may be one of Marvel’s new go-to writers (with gigs on Uncanny Avengers and Captain America), but he hasn’t abandoned his roots in pulp horror/science fiction. 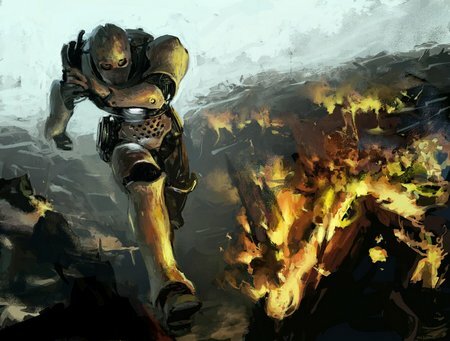 He plans to collaborate with artist Paul Renaud on Devolution, a new sci-fI/adventure series from Dynamite Comics. The premise? Remender excels at blending emotionally honest storytelling with original ideas in classic grindhouse/exploitation genres. This will be fantastic. So, that was the Con. There’s still a bit of me that misses the feeling of being a part of an event like NYCC. I think I’m just going to have to recreate that sense of community in other contexts – maybe attend more signings and smaller conventions like MoCCA/Society of Illustrators (assuming that it will ever do this again) or the Brooklyn Comics and Graphics Festival. Either way, NYCC has become a fixture in American comics culture, and it’ll be interesting to see how it evolves over the next few years.